Failure – The Pathway to Success! Nobody likes to fail! In fact, just about everyone fears failure. Fearing failure has a major stronghold over many professional minds today- with property managers no exception. It is this fearing failure that stalls progress and growth in property managers and keeps them locked up from their potential. Most people want success, however, fear holds them back. 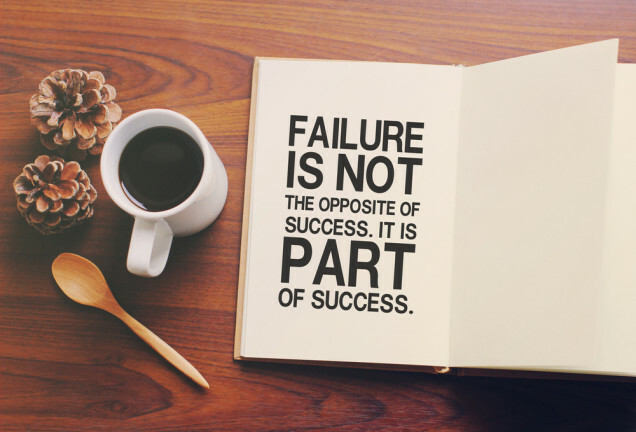 What most do not realise is that failure is the pathway to success! It is fear that is the problem! For many of my early years as a property manager, I was plagued by the fear of failing. Fear that I would make an error, fear that I would overlook something crucial, fear that something that would happen beyond my control or prediction. The anticipation of a coming tribunal hearing was an extra nightmare for me. The very thought of it churned my stomach and made my heart skip a few beats. The fear of losing the tribunal hearing, the fear of costing the client and/or the company money, the fear of tarnishing my reputation all kept me captive. What I didn’t realise at the time is that failure is, in fact, a vital part of success! Some time ago, I attended a management course where a group of us were to walk across a set of square patterns on a mat. The squares were electronically wired in an unseen maze. One person would start by standing on a square in the first row. If no beeper went off, they would move to the next square in the next row. This would continue until they would hit a wired square. The next person would then continue on the same ‘cleared’ path -diverting around the defaulting squares to find a different path. If another square beeped, the next person was assigned the task through the maze. Eventually, we would all get to the other side. I learned a valuable lesson- to get to the other side of the mat- we had to make errors to work out the right path through the maze. In fact, the errors allowed us to steer to the correct path. The key was to learn from the wrong move and take a different approach the next time around until we got it right. This can be applied not only to property management but to any profession and any area of our lives. Errors are good! They enable you to learn from the error and correct the situation so that you do not travel the same path again. I also found that few errors actually cost money, and if you correct it straight away-potentially costly errors can be avoided altogether. If we change our mindset that every error we make is, in fact, a green arrow saying-go another way next time will keep us on the path of success. This is how we use failure to succeed.